The beer â€“ 7 or so on tap, including a Hefeweizen, Amber, Porter, Pale Ale, Oatmeal ESB, Brown and a Rye. I was driving, so I kept it to two: the Pale and the Porter. Both were very good with no obvious flaws. But I wouldnâ€™t call either remarkable or particularly memorable. 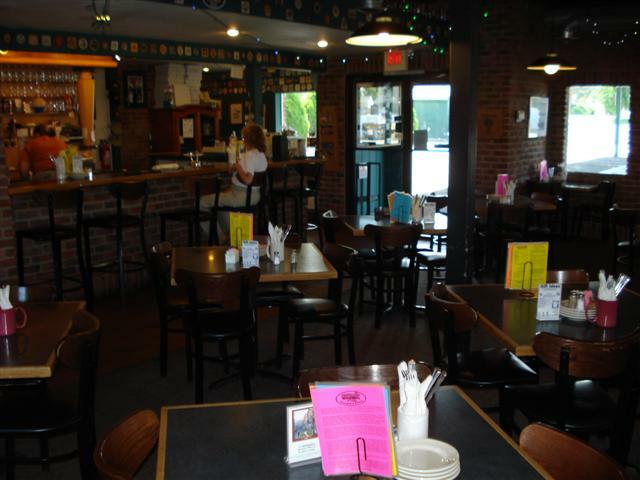 The food â€“ itâ€™s a sandwich, burger and pizza kind of place. Definitely casual dining. I had a soup & salad. Both were fine. The service was great, but I was there for dinner at 4:00 (my body, still on east coast time, was hungry). No idea if it gets busy. 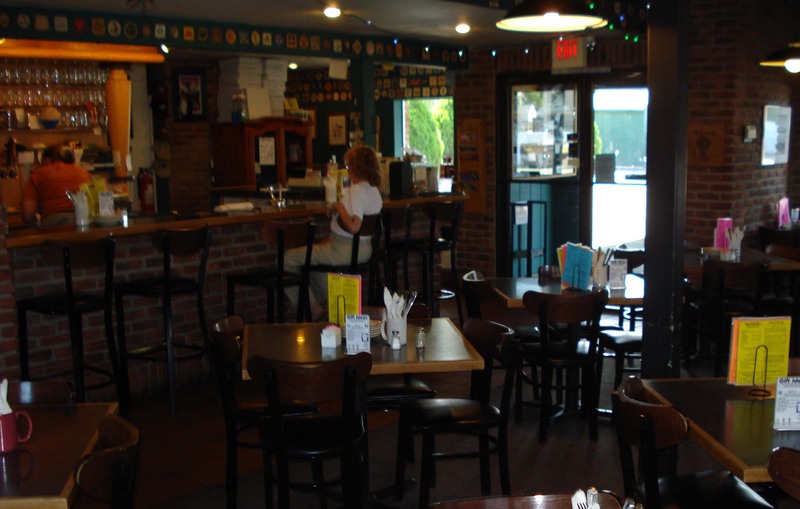 Itâ€™s definitely a folksy atmosphere in a building thatâ€™s been through multiple restaurant incarnations. 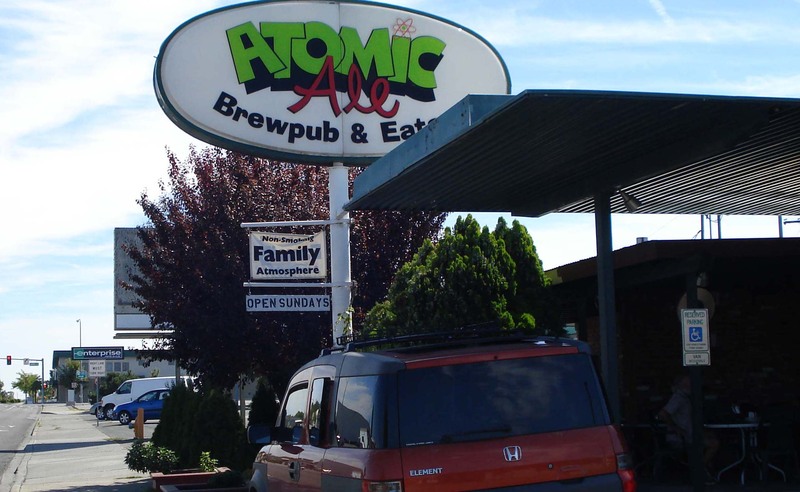 If Granite City, Gordon Biersch and Sweetwater Tavern are at one side of the corporate-owned, refined, Disney-esque brewpub spectrum, Atomic Ale is at the other side of the spectrum. Casual and unrefined. Stopped in yesterday just having fount this place by accident. We were NOT disapointed. The beers we tried were well crafted. In fact the one I most enjoyed was the "Knipp Kinetic IPA". Very interesting profile and balance..... much like my personal brewing has evolved into. My guess upon first sip (little nose) was a front wort hopped, all late addition boil with columbus and cascases... maybe about a60 IBU. I was close. After asking our server Taylor about it, he informed me that it was HIS own recipe. Well done Taylor! It has taken me quite a few years to figure some of this out. This was a very easy to drink IPA, low end bittered but still on scale, VERY big mouthfeel and a maouthfull of hop flavor. You could drink this one warm and still be happy. While he seemed to be young to have come this far, that speaks more to my own age than his! We also tried the strawberry ale, a very refreshing beer with a nice dry malt profile. Great for a hot summer day. For food we had the Carribean Jerk pizza. It, too was a good choice. Very nice crust, and shold have asked for the recipe. Something different about it. The smells of the (apple? cherry?) wood smoke outside as we walked in was the hook. Smelled so good we had to try one of their wood fired oven creations. My problem was that it was cold. OK.... it wasn't their fault. When it arrived I spent the next dozen or more minutes talking to Taylor about his beer and comparing notes while my wife ate her share.. Kinda happens everywhere I go. So Taylor.....when we come in today STAY AWAY! At least till I get a bite or two in. I would have given a 5 to the beer score, but for a rather limited selection. It is also nice to see more details about the beers on the menu ... like the hops used, OG, IBUs etc. Helps me make a selection when I am looking for something particular. I loved this place this was one of the first I had ever stopped at and started to actually rate as a place. They had 4 great beers and the pizza was awesome. Was able to talk with the owner and we had a great time. I will be back for sure and the beers as I said where good. Not the best but it was the great time I had that added to the experience and ot the drinking of the beer. I will be back for sure. 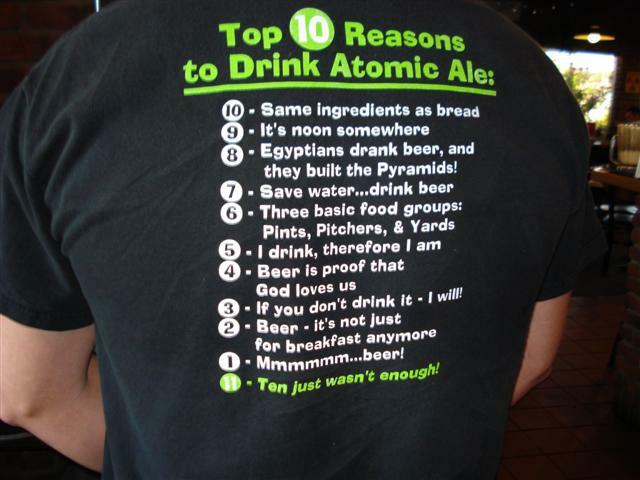 Keep on Brewing Atomic. One of the stops on an E. Washington brewery / brewpub tour. 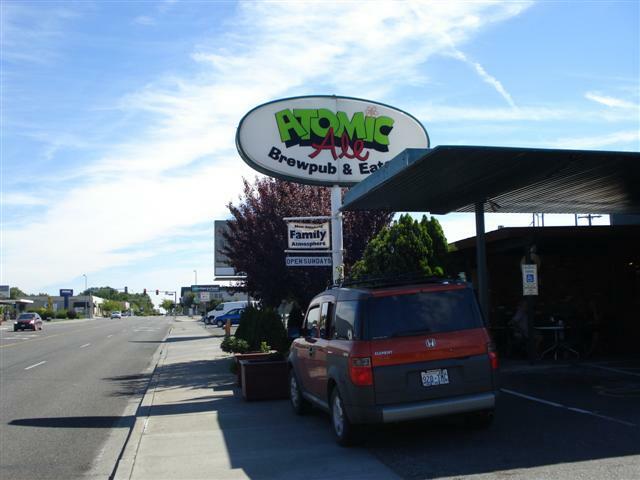 Was told by several people at different establishments that the Atomic was "the" place to eat in Richland. I was given a sample of their "famous" potato soup & Oh My! Made w/a half gallon of their hefeweizen and something called "nuke butter" (filled w/spices & soft, thank you very much) this was incredible. Also sampled all the beers on tap (7 at the time) & found the Hefe to be the best. Even better w/the lemon added...a refreshing, crisp summer beer that tastes a bit like lemonade. As a result, this brew could get dangerous very quickly considering the summer temperatures in Richland usually hover above 90 degrees consistently. We sat at the bar, had a very pleasant conversation w/Kristen & Aaron, the apprentice brewmeister. This was on a Saturday @ lunchtime...the place was relatively empty but there were 2 other families. If ever back in Richland, would certainly stop in for that soup, a piece of chocolate containment cake made w/their Plutonium Porter (also delicious! )& to sample their Russian Imperial Stout which, according to the customers we spoke to, is the local favorite. Paid a visit to the Atomic brew on my way through town. Not particularly impressed with any of the samples that I tried. The IPA was relatively weak and the Hefe was cloudy and citriusy which is nice on a hot day, but nothing that I would go out of my way to find. Did not eat the food, so no rating here. The brewery/eatery is a converted drive-in restaurant. Atmosphere is OK nothing spectacular. I don't feel like I need to come back and visit.